U.S. Bellows, Inc. specially designed and fabricated two 770 lb. pressure balanced expansion joints for a company in Ohio. These expansion joints, designed for 450 PSIG and 1350 °F, will be used for wind tunnel testing of airplanes and engines. With an overall length of 70, these expansion joints consist of four 8 diameter bellows with 3 plies of Inco 625 Gr1 material, an 8 diameter Inco 800 HT elbow, four 74 A193 B8 tie rods, and four 2 thick A240 tp304H rings. To ensure quality, 100% x-ray and 100% dye-penetran tests were performed on the bellows. A pneumatic test at 550 PSIG was conducted on the entire assembly prior to shipping. 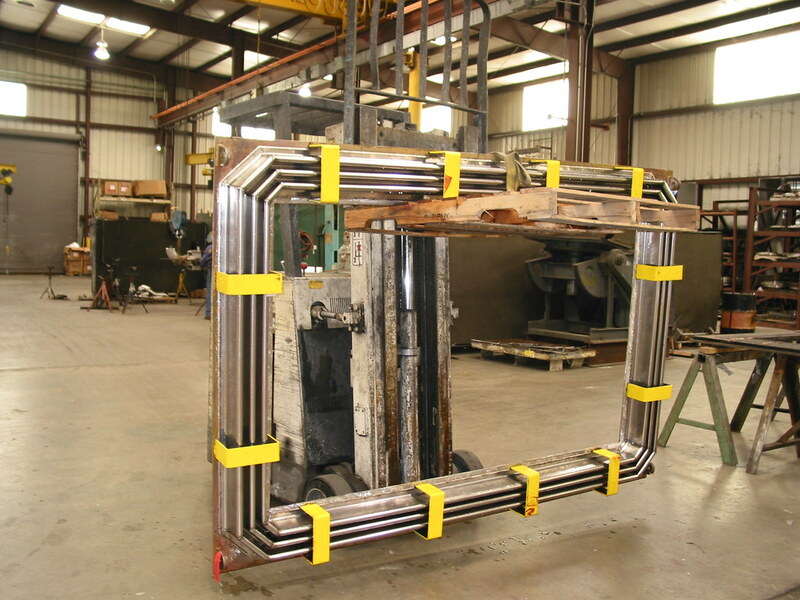 U.S. Bellows, Inc. recently fabricated four rectangular primary flexible seal joints for sliding flanged connections. Designed at 2 PSIG for 1350°F, the seal joints provide for one inch of axial movement to prevent damage to flange connections. EJMA Standards and B31.3 code were used in the design and fabrication of these joints. The purpose of the rectangular seal expansion joint is to prevent leakage to outside of the burney windbox. The corners are double mitered to reduce stress. Inconel® 625LCF material was used in fabricating the bellows while A240 tp 310 material was used for the frame. An air test at 5 PSIG was implemented as well as dye-penetrant test to ensure product quality.